If you’re going to use protein powder for muscle development or health, picking the best product is critical. But, there are many different protein powder brands on the market, along with countless meal replacement products. If you are already familiar with whey protein powders, exploring grass fed varieties make a lot of sense. The key focus when considering grass fed whey protein would be taste, processsing, cost and of course the amount of protein. If you’re visiting this post, then you’re already on the right track and are looking for the best grass fed whey protein powder brands. And honestly, this is the most effective direction to go. After all, whey protein powder is a complete source of protein and is quickly absorbed, making it important for muscle development. Plus, it contains significant amounts of BCAAs, including leucine. The site Life Mastery Nutrition offers some details about why BCAAs are so important. Those benefits can be found with any type of whey protein powder. But, choosing a grass fed product is a particularly powerful approach. This type of protein powder is sourced from the milk of cows that are fed grass and may be raised on the pasture. That pattern has nutritional implications, meaning that grass fed whey will tend to be better for you. This is one reason why grass fed beef is so popular. Plus, there are fewer chemicals involved in raising grass fed cows, which is highly desirable. The brands themselves also have a stronger focus on quality, giving you a more reliable product overall. So, better nutrition, improved quality and fewer chemicals, along with a more ethical product. These are all powerful reasons to go with grass fed. With that in mind, this post highlights the best grass fed powders that are currently on the market and why they are worth considering. The prices listed are rough estimations only, as these vary based on size and seller, while also changing over time. Naked Whey strongly focuses on having a pure product – so the only ingredient is whey protein concentrate. The company also uses cold processing to ensure the protein doesn’t get denatured along the way and to promote the best outcomes. The non-flavored nature of the powder is both an advantage and a disadvantage. For one thing, the lack of flavoring means you are just getting protein powder, nothing more. Plus, you can mix it in with flavored ingredients (like in a smoothie), so the lack of taste doesn’t matter too much. The flipside is that the powder doesn’t taste so great if you don’t add other types of flavor. It also doesn’t blend well with water, which is a disadvantage for some people, however the solution is simply using a blender. Despite the focus on quality, the product isn’t certified organic either. This may simply be because of the cost. But, either way, the lack of certification is a limitation. On a side note, the brand does also have ‘Less Naked’ variations. These are flavored alternatives, with one being strawberry and the other vanilla. Both products have more ingredients than the unflavored but not many. For example, the strawberry flavor has just whey protein concentrate, dried strawberries and organic coconut sugar. So, you’re still getting a relatively unprocessed item and there are no artificial ingredients to worry about. There are two different forms of whey protein available, one is isolate and the other is concentrate. Many of the brands on this list use concentrate – which is typically less expensive. However, whey isolate has a higher concentration of protein and typically has lower amounts of fat, lactose, carbohydrates and similar components. In theory, these differences make whey isolate more powerful than whey concentrate. But, for many people, whey concentrate is fine, especially as the isolate is often more expensive. With that in mind, the use of isolate is the main reason for considering this product from Bulk Supplements. As the name suggests, the brand also works well if you plan to buy in bulk. They offer containers of up to 44 pounds and the larger sizes do cost less per ounce. Sizes like this can make whey isolate more affordable – but it’s worth trying out a smaller version first. The biggest disadvantage is that this product does use soy lectin as an emulsifier. This is problematic for anyone avoiding soy or additives in general. This is a second whey isolate possibility and comes from Legion Athletics. The brand itself is popular and offers a range of different protein products. The powder here is non-GMO and free from antibiotics and hormones, while also being produced from grass fed cows. However, it isn’t certified organic. Additionally, the marketing is somewhat misleading. The product is promoted as being ‘100% Whey Isolate Powder’ but that isn’t the only ingredient. Instead, there are some additives. These include soy lecithin, xanthan gum and natural flavors. None of these are great ingredients if you’re trying to avoid processed options. Plus, there is no way to know precisely what make ups the natural flavors. For some, these extra ingredients may be a reason to avoid the brand. Nevertheless, the product is included in this list because it is high quality (despite those additives), extremely popular and very good value for money. These areas are all critical for anyone who goes through a large amount of whey powder. With this product, price is one of the most significant advantages. You do have to get the 5-pound container to get that per pound price – but doing so is less of an investment than most of the other brands. At the same time, the product itself is fairly good for the price that you pay. In particular, the company uses third-party testing to ensure quality. The cows used are also free from hormones and the finished product is soy-free, gluten-free, GMO-free and corn-free. One other difference is the inclusion of sunflower lectin. This isn’t a common approach and adds in a little nutrition. The sunflower lectin also makes the powder easier to blend than other whey products. This is an advantage for many uses, including cooking or mixing the powder in water. However, as some other brands, the powder isn’t certified organic. So, despite the advantages, it won’t be a good fit for everyone. Like Naked Whey, this brand offers an unflavored product that is cold processed. Both aspects are perfect for anyone wanting the most health outcomes. For that matter, those two options are very similar to one another, including the lack of additives and the fact that they aren’t certified as organic. The brand does also have some other grass-fed whey products on offer, including whey isolate, along with coffee whey isolate and chocolate whey isolate. These variations have the same general advantages as the whey concentrate, although the flavored options do use more ingredients. While the flavored isolates could be worth considering, the whey concentrate is basically a more expensive version of what Naked Whey offers. Plus, Naked Whey gives you the ability to buy in bulk and cut your costs down, which you cannot do here. The biggest advantage with this brand is quality – particularly for anyone interested in how the cows are treated. The whey itself is certified as organic, while the cows used are pasture-raised and free from rBGH and rBST hormones. Relatively few brands make these specifications and many grass-fed cows aren’t raised on the pasture. As a result, these areas make the product stand out. This is another choice that contains no additives and is simply just whey protein concentrate. Still, this type of protein does come with a catch – the price. It is much more expensive than most other brands, especially if you buy the smaller size. The 5-pound bag is much better per ounce but it is still a considerable investment. Like most of the other brands, Wild Whey does offer an unflavored version. It also has vanilla and dark chocolate options, if you want more variety. This is another case where the cows are pasture-raised and where raw processing approaches are used. As you might expect, the natural version of the powder is simply whey concentrate with nothing added. However, the flavored versions do use stevia as a sweetener. Whether that is an issue will depend on your personal views – as many people rely on stevia, but others cannot stand it. Generally speaking, this is a quality grass fed whey brand, especially if you want pasture-raised cows. But, as with the previous product, the powder is fairly expensive unless you are buying it in 5-pound bags. Natural Force is another brand that offers unflavored and flavored options. The company specifies that the cows are pasture-raised throughout the year and that they are GMO- and hormone-free. This is another brand that uses cold processing to ensure the best outcomes. One key difference is that the product is USDA certified organic, which is a major advantage. However, the largest size with this brand is just 2 pounds and it tends to be more expensive per pound. A second issue is that the whey is produced on machinery that is used for soy, eggs and tree nuts. This processing approach isn’t a major issue for most situations. Nevertheless, it may be significant for anyone with severe allergies. What’s the Best Grass Fed Whey Protein Powder? As you can see from this list, there are many different options for grass fed whey – and I’ve only covered a fraction of the total brands. Realistically, any of these choices are powerful products for your health and they have many nutritional similarities. Which of these is best really depends on what you’re looking for. For example, some of the products are certified organic, like Natural Force and Raw Organic Whey. Likewise, many of them do use cold processing and pasture-raised cows. Those approaches can be the ideal – but you’re typically paying more per pound. In contrast, Bulk Supplements offers a whey isolate alternative that ends up less expensive than most of the concentrates. And, if you are trying for something inexpensive, the ProMix Nutrition alternative also works well and it is a high-quality product overall. Regardless of the brand you choose, there are many different ways to take advantage of protein powder. 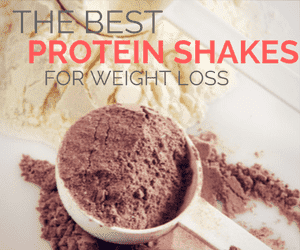 For example, the site Daily Burn offers 20 unusual protein powder recipes. Most can be made with any brand of protein powder. Precision Nutrition also has a guide for creating super shakes and making sure your smoothies give you the most nutrition possible. I have been going to the gym for a little while now and I just learned about protein and it’s benefits about a month ago. Someone mentioned that if I was going to be working on strength training as well as cardio, picking up some protein powder would do me well for not losing any muscle mass. Since then, I have been trying to find a good protein powder to incorporate into my gym regimen but I have no idea which one to get, I mean there are so many different brands. Thanks to this post I now finally understand the benefits and differences of different protein brands. Based on your reviews, I believe that Naked Whey might be a good fit for me. Thanks so much! Yes – there are many different brands and I only covered a fraction of them. Realistically, there are multiple good options and the best depends on what you’re specifically looking for. I hope you guy well with Naked Whey. That brand seems like a good choice for many people and situations. I always see whey protein powder in the health food store, and have wondered if it is an effective source of protein. I wonder it the processing method affects the nutrients, so I have a little hesitation to buy it. I prefer to be in the kitchen though as I enjoy preparing healthy meals from scratch. You’re right that home cooked meals are going to be better for overall nutrients but protein powder does have its place too. In particular, the powder acts as a more concentrated source of protein. That’s particularly relevant if you need to be sure you’re not losing muscle mass or if you are trying to keep calories low. I have a protein shake practically every day. And the only ones I will ingest are grass fed whey or bone broth. I haven’t found a good tasting grass fed protein that either is not expensive as you stated or are have fillers. I have tried Raw Organic Whey, it was good but way too expensive. The Naked Whey looks good – I normally mix in blender so the blending won’t be an issue. Great information, thank you! From looking at these, the challenge seems to be that the best quality ones won’t blend well and may not taste amazing – simply because they are just whey. And, like you mention, some are expensive. I think Naked Whey is a good balance, giving you advantages without breaking the bank.